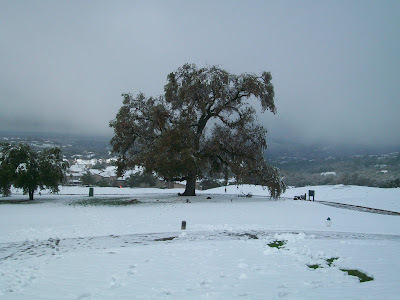 How cool was it to see kids trying to snowboard and sled on the 1st fairway on the golf course. Here are some pictures i took. It’s crazy to think of the many days I have spent with a sound system set up right where this snow is for a wedding ceremony. 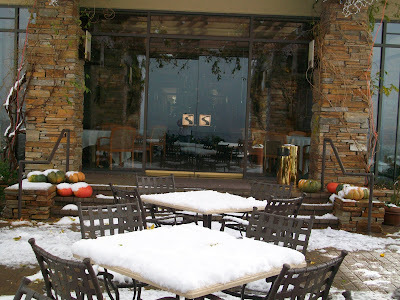 Here is a look at the snow covering the tables on the terrace overlooking the ceremony site. This is the ceremony site from the outside patio. Folsom Lake is to the left and the rolling foothills and gold country are to the right. 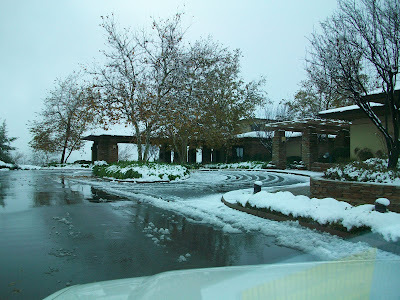 Nevermind… all you can see is snow…. 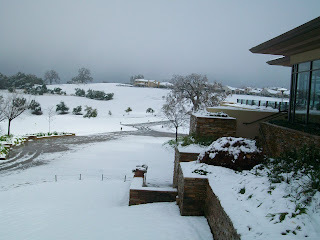 This is the front of Serrano Country Club about 4 hours after the snow stopped falling. Very cool sight! No doubt! A look from the side of the club. 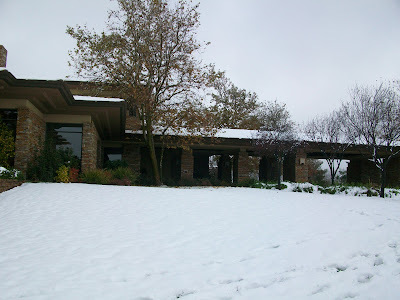 This is the lawn in the front of the club… snow is about 4-5 inches thick here. So after a walk around Serrano in the 28 degree temperature, we drove up Highway 50 a little higher just for fun. 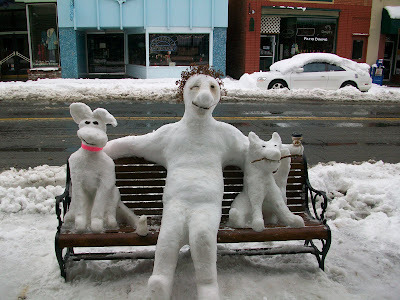 Here is what happens in Placerville if you stay outside too long in a snowstorm… We definately turned around just to come back and take a picture of these “guys”. Ok, i hope you enoyed a couple of fun pictures. There are more on my facebook page. OK, booking season is in full effect. Check out my website at http://www.musicandmoredj.com/ and don’t forget to get going on booking those great wedding vendors. Gotta run to a consultation with Wedding Coordinator Kendra Pfeiffer and a new client!!! !